So, 2016 is going on and we have seen some of the good movies of the year. Some of them satisfied our expectations and some performed below. But that happens. Here comes one more movie which we are looking forward to watch, Inferno. 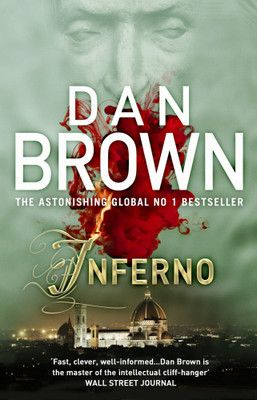 Inferno is an upcoming English movie based on the book Inferno by Dan Brown. This sole reason is sufficient right? Dan Brown books are good thrillers. Sometimes they are much descriptive and stretchy, but the thrill they provide are really great. The research work for most of his work is really well done. Inferno (the book) is no exception. They way the modern days and ancient times are weaved together is something you love to explore. Sony have released the teaser trailer of the movie four days ago and it crossed 4 million views so far. The film is scheduled to be released on October 28, 2016 in 3D and 2D formats. This is the latest trailer of the movie, provide more detail about the storyline. It looks gripping to us and we are very curious to watch the movie, what about you?